Adam Phillips is notorious for a couple things. One is that he is a Freudian psychoanalyst, to which I can hear you navigating way already, but don’t do that. The other is that he basically does whatever he wants. As Joan Acocella tells us in her review of Missing Out, Adam Phillips’ books are either loosely based on a single topic or are a disparate collection of essays that have a topic assigned to them after the fact. Unforbidden Pleasures falls into the first category, but it’s hard not to see traces of the second. Even so, Unforbidden Pleasures is too interesting to count this either for or against the book. After all, “We are…ambivalent to everything that matters to us…” according to Phillips. What kind of pleasures are not forbidden? Simple ones, to be sure. Smelling a flower or making a perfect breakfast. But of the forbidden pleasures, who is doing the forbidding? Why are they forbidden in the first place? The discussion begins with Oscar Wilde and morality and moves to language, authority, religion, obedience, and intimidation. Within these familiar concepts are packed dozens of references to other thinkers, all while circling around a text of some kind. Hamlet in one case, Don Quixote in another. The most obvious aspect of forbidding is the temptation in it, the sense that it is somehow a better sort of pleasure if you aren’t supposed to have it. But Phillips raises more interesting insights. It is suggested that we enjoy, even seek out, limitation. “We can use commitment, conviction, [and] strong belief…to narrow our minds (and stunt our growth),” Phillips writes. The suggestion is that of all the entities out there doing the forbidding, it is our own minds which most construct parameters and confine what we will not or cannot do. “We want to narrow our minds – we want to speak and write in particular ways – because we want to set limits to our wanting, to our sense of possibility.” These ideas appear in the first nine pages, are only nuts and screws of the overall framework, but are nevertheless essential to understand Phillips’ conception of the forbidden. Phillips will not be tempted by unforbidden pleasure of narrowing his mind. In this way it is a true philosophy book, staunchly and totally opposed to the prescriptive and essentialist line of self-help which people are accustomed to. 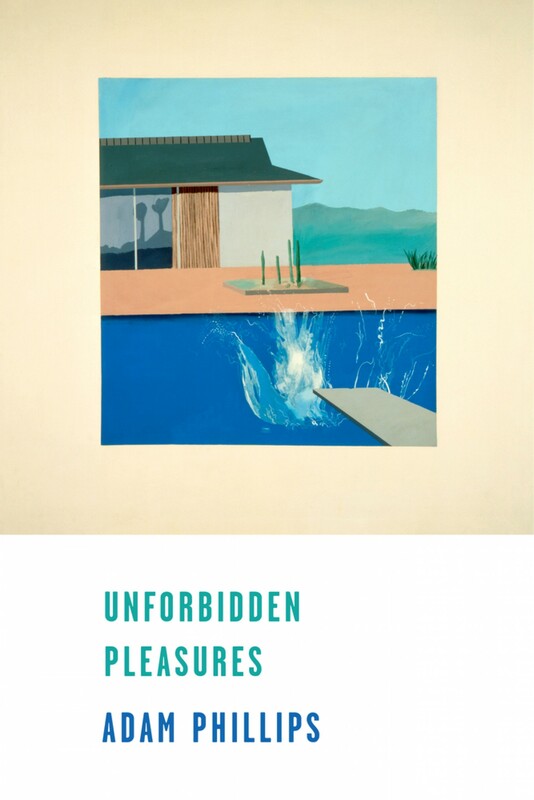 This is Unforbidden Pleasures’ greatest allure – it is a book that thinks and ponders and wonders and does not concern itself with whether what it is thinking about is relevant or pragmatic, even applicable. The subtle threads which bind Unforbidden Pleasures are like a spider’s web that is only visible from light at certain angles, necessitating close attention, and curiosity.